identified the needs and goals that require funding. your loved one with special needs. will explain “Fund the Future”. The numbers below are the present values that are needed to be funded to get you to the Funding Strategies for Now and Later. We’ve taken your information from your Stage 2 and placed it here for Funding your Strategies. The next question to be answered is how to fund these. The answer can be provided by our financial partners including Ehlert Financial Group. They have worked collaboratively with the Protected Tomorrows team and the families we serve. They have the expertise and knowledge of special needs and how to effectively apply this knowledge. Funding Strategies for Now is Funding you will need for your child during School Years, High School, Transition and Adulthood. 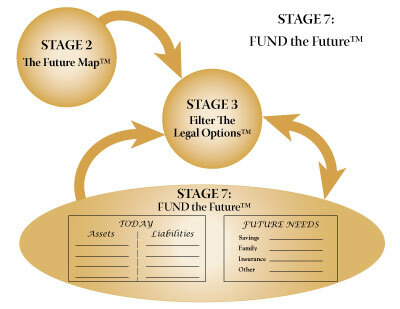 Funding Strategies for Later is Funding that you child will need for Life Without You.